Swami Prajnanapada: “We can help others only to the extent of trying to secure for them those material things we desire for ourselves. 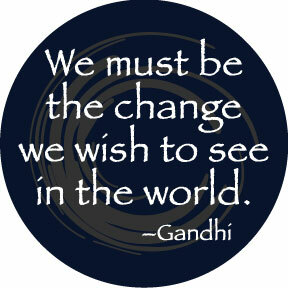 One should realise that the same desires, the same needs are common to all. We can, therefore, help only in securing those things for them. In matters of knowledge, however, there is no helping until one is enlightened oneself. Any attempt to guide others before one has become enlightened himself will only result in misleading others. Eswar Chander Vidyasagar was once requested to tender advice to a friend in distress. He replied that he was not prepared for another thrashing, and therefore, begged to be excused. The meaning is that he was not really in a position to guide and might probably misguide, which may lead to the thrashing. The blind should not try to lead the blind. They should first see light themselves, and, after they have it will be time enough to help. This does not mean that you must necessarily wait until you get complete enlightenment to be of help to those in need, and who deserve the help. But the man who seeks help must have felt the imperative need for assistance. He must have tried his best to solve his problems and, not having solved them, comes to you for help. You may avail of such opportunities for help, making sure to stand on your own firm ground at the same time. You should never be carried away by sweet flattering words. Under these conditions, you may tell what you know. Your advice should be based on certain knowledge, solidified by experience. For, to know is to be. Without being there is no knowing. And to be able to help others, one must be a helper first, that is to say, one must acquire the ability and technique to help. Advice should not be wasted on people for whom the need has not arisen. One must first satisfy himself that the other is ready to receive and follow the advice. The teacher must wait until a question is asked, until a doubt has arisen in the pupil’s mind. Doubt, doubt, doubt must first make its appearance. That is the criterion for the need for help. When will the doubt come? Only after going through the experience. So, encourage everyone to go through actions. When he faces difficulties or disappointments, doubts will arise and that is the opportune time to render help. Genuine doubt must first make its appearance. A casual enquiry or mere curiosity will not do. But to help, you must first equip yourself. How did Krishna become an engineer? He went to an engineering college to equip himself as an engineer. He leanrt both the theory and practice of engineering and came to Tatas to practise it. If one wants to dance, one must be a dancer first. If I give you a good surgical knife, can you straightaway go and operate? No, you have to become a surgeon first, that is, join a medical college, learn both the theory and practice of surgery and then you can operate safely. Mere theory will not do. So, to be of help to another, you must be a helper first, that is you must equip yourself with the ability to help. You must learn the technique of helping. You must make sure that you are competent to help. Your mind must be clear first. If you are yourself in doubt, you can hardly dispel another man’s doubts. If you feel confident, then, you can talk. To talk to another, you must first understand him and deal with him at his own level. Otherwise, there will be no communications. When you talk to another, the very first idea that you should hear in mind is that he is different, and so you will have to adjust your way of talking to suit him. That is what is called talking ‘to’ him. You cannot have your own way for everyone. Different individuals need different advice. What is suitable for one may not suit the other. Your advice should also be appropriate to his need. You should never impose yourself on him or impose an ideal on him, as that will create conflict. Nor should your advice be beyond his reach. The advice given should be practical. He must not find much difficulty in implementing it. It should be slightly difficult, so that it calls forth his effort, and these efforts culminate in success. For, success breeds success, and nothing succeeds like success. This will help him to build up his self-confidence. You should then see if the recipient is fit to receive the advice. He should be eager, sincere and receptive. Then only will the advice stick. He must put his questions in the proper manner, and be ready to serve the guru in all the ways he can. That is the proper person to whom advice may be tendered. The pupil should,on his part, never swallow the words of the guru. He must examine them, experiment with them and satisfy himself that they are sound. He must ponder over them from all angles, and make sure that the advice is correct. Then, he must turn them over in his mind repeatedly, so that they become his own. And, finally, he must put them into practice. Practice will make him perfect in due time. Before tendering advice, first hear him fully and patiently,. Then, if you have a clear idea about it, you may express yourself. You may, or rather, you have the right to say only when you know the truth about it. Be sure of your ground and then talk. Otherwise, lend your ear to everybody. In guiding, one is merely to place facts before the other and not opinions or conclusions. Let him, through the facts, form his own opinions, and draw his own conclusions. You may explain as much as you like but you must leave the decision to him. If the decision is wrong, he will learn by experience. You should encourage him to walk independently. And, always remember, that advice is for action. It shiould not be treated as a pastime, nor a debate. If you are not prepared to act, you may as well save the trouble of going in for the advice. Having got the advice, you must make it your own by turning it over in your mind repeatedly and viewing it from all angles. Then, you will be convinced of the soundness of the advice. But conviction alone is not enough. By repetition and pondering over it frequently you must develop the strength of conviction. Then, this conviction will become irresistible and it will be translated into action. That is being. 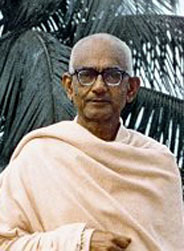 Note: Swami Prajnanapada (1891–1974) was a traditional Hindu swamiji who taught Advaitic Vedanta. He was a direct disciple of Niralamba Swami (1877-1930), a friend and contemporary of Swamiji Sri Aurobindo.